In naijaspeak this would be 419. invisible menders? Ha ha..drop your money and hope (pray) for a miracle. 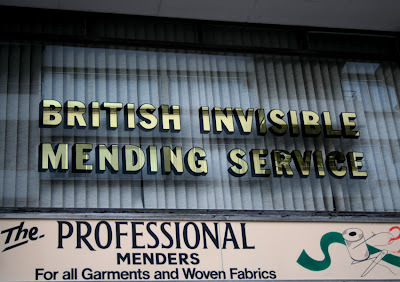 Actually, some pastor could probably make his poor sod flock believe clothes being mended supernaturally. Something about this picture reminds me of a scene from miyazawas "Howl's Moving Castle"